In conversation with Sandeep Joshi, GM, Radisson Blu Plaza Hotel, who spoke about importance of franchising and upcoming new trends. Radisson Blu Hotels by the Carlson Rezidor Hotel Group are iconic, stylish and sophisticated hotels that are expanding fast across locations. Radisson Blu features 380 unique hotels, open or coming soon, in the world’s most desirable destinations. 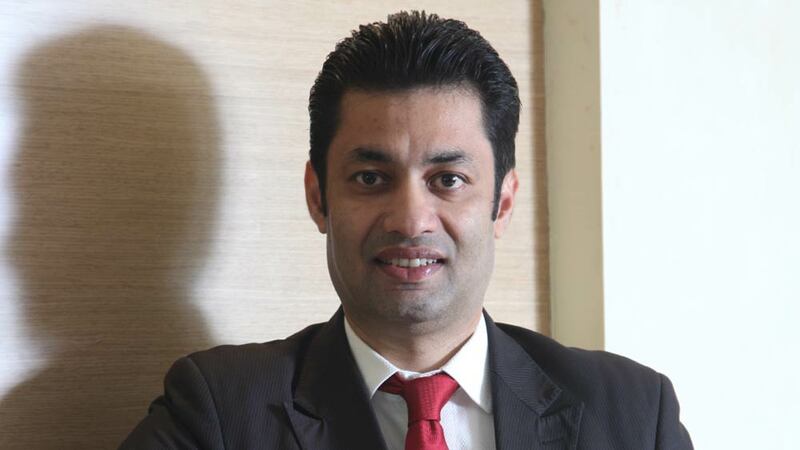 Franchiseindia.com did a chat with Sandeep Joshi, GM, Radisson Blu Plaza Hotel, Hyderabad about the hotels expanding via franchise route, challenges and also lot on new trends and plans for this year. After this huge expertise in the hospitality sector, what biggest challenges you still see that the sector is facing apart from skilled manpower? The challenges that hotel industry has been facing since last decade is world financial crisis and mismatch in the demand supply chain. The Global Financial Crisis has hit the hotel industry hard. Many operators, particularly those that had recently opened have folded, unable to maintain sustainable businesses. Many companies have lost a lot of money, or at the very least taken on huge debt. Yet some are fighting back by offering their rooms in the form of deals at ridiculously low prices. Prior to the GFC the hotel industry was on a high note so much so that more hotels opened across the world as compared to last 50 years. India as a country was supposed to experience high tourist attraction due to which many international hotel brands entered the countrybut the tourist movement was not as expected leading to high supply of inventory versus the demand. Tell us about your views on hotels now adopting and expanding hugely via franchise model? How has this model been beneficial for the sector? As per me franchising is in general a well suited business model irrespective of the industry. Franchising is globally one of the most rapidly growing business strategies because it enables a franchisor to develop with minimal capital involvement. Developed countries like US, UK have adopted this model extensively and India as developing country offers good opportunities in this emerging business model. Hotels are a capital intensive business that takes a lot of time and resources to open each new property. The risk that's inherent in owning an asset like a hotel is high, but the risk of owning a franchise contract is fairly low. The major hotel brands are relying on franchise agreements to grow their footprint worldwide rather than owning physical properties. This helps the brands to grow faster, especially internationally or in tier two or three sized markets where local developers might want to put a hotel that a big brand otherwise might not consider. This strategy also helps these hotel brands to grow in the mushrooming boutique hotel space. You have successfully managed single as well as multi-unit operations. What challenges you see here and what’s the biggest success mantra? Just like Mobile check-in’s, what do you think is now the current trend in hospitality industry? Apart from seamless connectivity across platforms through technology the other trend that is seen in the hospitality industry is Eco-friendly practices. Most of the properties focus on renewable energy resources and water scarcity. Many hotels are installing solar panels and updating systems so that air conditioners and lights automatically switch off when guests leave their room. Tell us about your next plans this year for the Radisson Blu Plaza. Hyderabad is booming and has become a preferred destination for big ticket conferences. Our property is located in city centre with close proximity to major convention centers in the city so MICE will be one of our major focusses. People in Hyderabad are now opening to try different cuisines and city has seen some popular F&B brands entering so catering to that section of the society is something we will be keen in. Another focus area this year will be to training, to develop our team members for a better future, enhancing skill set, grooming them in professional front to bring down the attrition rates and improving quality of services. You had super successfully operated Float, largest lounge Pub in Asia. What do you think were the factors that contributed to its tremendous accomplishment and what all young entrepreneurs can learn here? What can be the takeaway for them before they enter the hospitality sector? Story of Float only reiterates the fact that if your concept is strong and unique no one can stop it from being successful. When float was launched it was designed around a unique concept of Irish pub which was not present in India. Their target audiences were people who had travelled extensively and understood the concept and being the only Irish style pub in the country we knew that the demand would be high so the capacity of 2500 covers was also a big hit. The most important thing that I learnt while being part of the Float team is that always have strong concept when you have strong concept you are bound to succeed, know your target audience well understand and cater to their needs if you do so their loyalty is yours forever.